Stand Up Summer Camp. A Camp for Empowering Young People to Find Their VoiceArtMusicWriting. 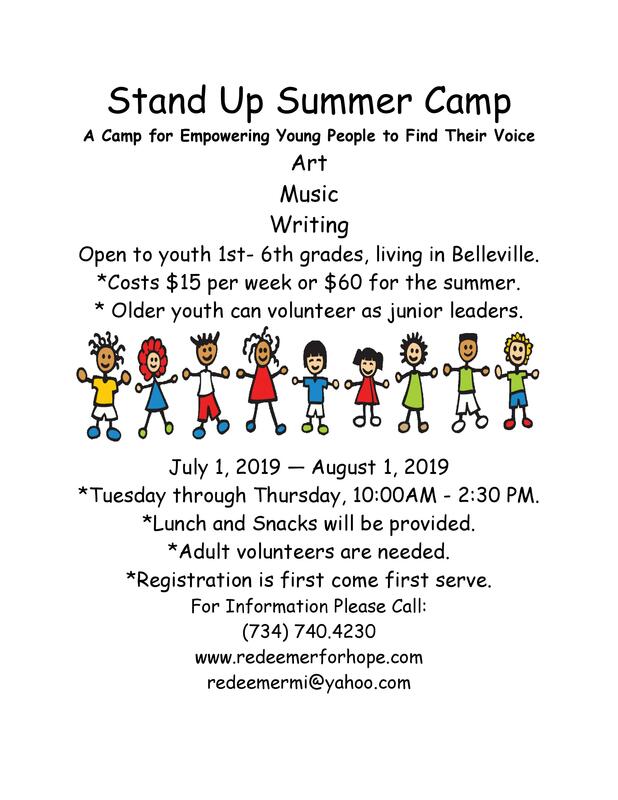 Open to youth 1st- 6th grades, living in Belleville. *Costs $15 per week or $60 for the summer. * Older youth can volunteer as junior leaders. July 1, 2019 — August 1, 2019 *Tuesday through Thursday, 10:00AM – 2:30 PM. *Lunch and Snacks will be provided. *Adult volunteers are needed. *Registration is first come first serve. Redeemer: Making a Positive Difference.